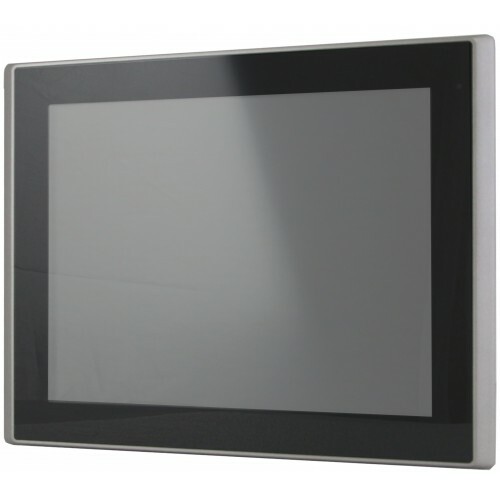 The NV-DIS-112 is an Industrial Compact Size Monitor with a 12.1” LCD display and standard USB interface for a resistive touch screen. With a solid aluminum Die-casting chassis and IP65 flat front panel, the Monitor meets the most demanding Industrial environments. A rear panel switch allows the user to choose between VGA or DVI input. 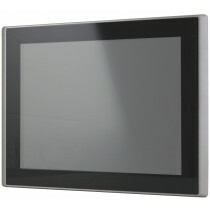 RS-232 touch screen interface as well as a projected capacitive touch screen is optional.